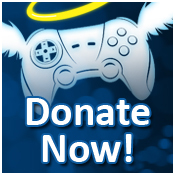 Extra Life 2014! Play Games, Heal Kids. – Give and Get Rewarded! What is going on WarpPortal Players! It’s that time again to heal kids by playing games. How, you may ask? With the wonderful Charity: Extra Life! 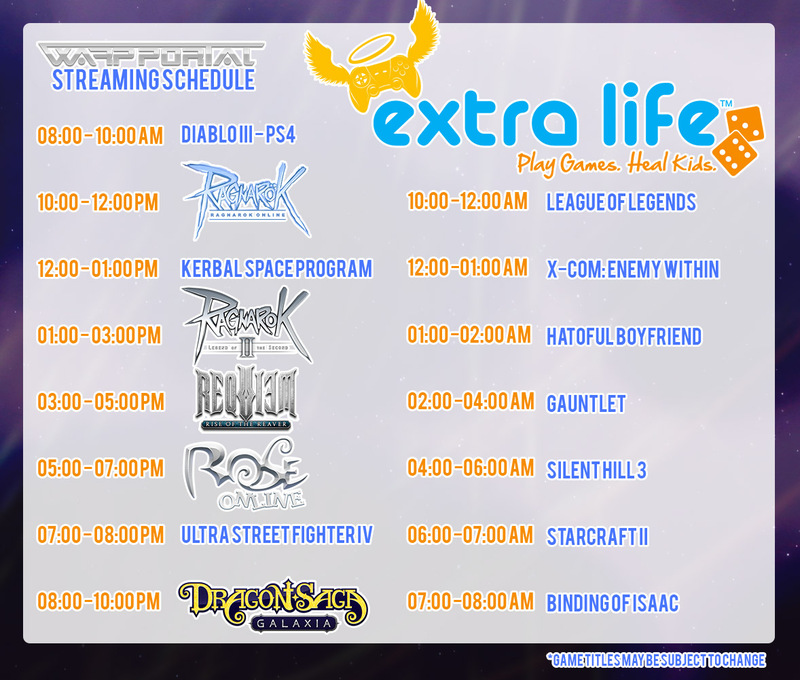 Extra Life is a 24 hour gaming marathon which donates the raised money to a local Children’s Hospital! In the case of WarpPortal, we will be donating the money earned to CHOC Children’s Hospital. Here is your chance to help children in need and get REWARDED for it! You can join the WarpPortal team as well for this fun event! The money you earn goes towards the overall pool for WarpPortal! You can use the images below to either Join our team or Donate! Searching for “WarpPortal” should get you right to us! 24 hours of video gaming for our local children’s hospital: CHOC-Children’s Hospital of Orange County. We’ll be streaming the whole thing here : http://www.twitch.tv/warpportal so join us and watch on October 25th, 2014 @ 8AM PDT! When we Stream WarpPortal games, we will be giving out in-game prizes and codes! Be sure to tune in if you that game or want too! For most multiplayer games, you guys can join us for the fun! We’ll put a call out in the twitch chat with the info needed to join us! WarpPortal has been kind enough once again to allow any donations, fundraising, or joining the WarpPortal team turn into prizes! How awesome is that! Donate to kids in need and receive some amazing one time bonuses! Thank you all for reading, and for helping us to help others! *All rewards will be distributed out soon after the October 25th, 2014. An official date will come soon. 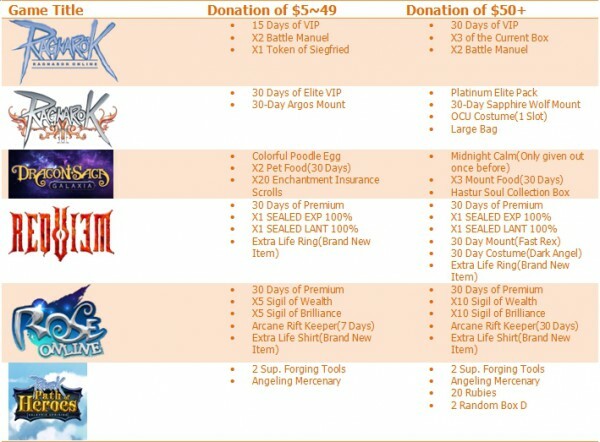 **Donation Rewards are limited to 1 per donation per WarpPortal Account. Remember guys! Prizes will be distributed after the Live-Stream is completed! An official date is coming soon. Thanks for your donations and help! Zareah and Jepjep28, please write to community@gravityus.com and include your Email and Name that you used to donate on the ExtraLife website (extra-life.org) so we can try to verify your participation in this event. « August Valkyrie Uprising Field Boss Event!